After many years spent in devising and implementing promotions of every possible type, My Marketing’s team came up with an idea to develop something new and unprecedented. 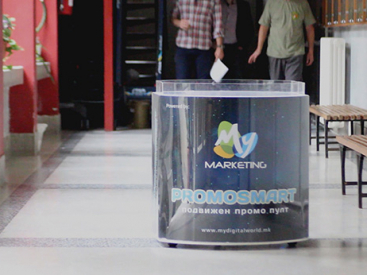 PROMOSMART, as the name suggests, is a smart way to promote, innovation created by our team and our extensive experience in indoor and outdoor promotions, in cooperation with the Faculty of Mechanical Engineering in Skopje. 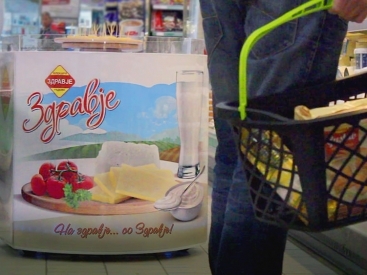 PROMOSMART is the first patented mobile promo stand, not only in Macedonia but also in Europe. 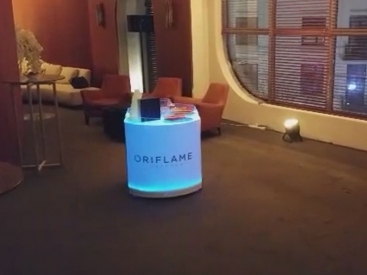 Its appearance is striking in itself, it is easy to brand, LED lit, it can be installed in less than 1 minute and the most important thing is that it’s mobile and operated by remote control within a range of up to 1000m. 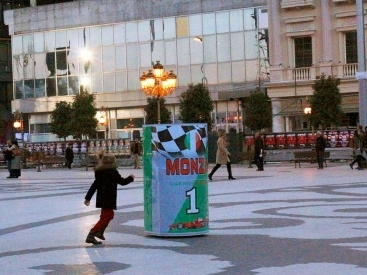 PROMOSMART is a promo stand and a promoter all in one that no one needs to approach, rather it may surprise the consumers wherever they are since it approaches them: in the market, on street, at city squares, in shopping malls, at larger events or anywhere… It has virtually limitless possibilities for indoor and outdoor advertising. 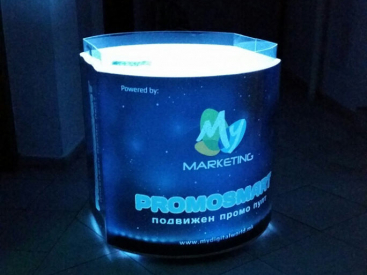 The first thing we wanted to do was to create a promotional stand that will attract attention and arouse interest, so PROMOSMART can be fully branded on all four sides, it is illuminated with hundreds of LED lights that can be programmed to shine in any shade, in the actual color according to the brand or product that is being promoted. 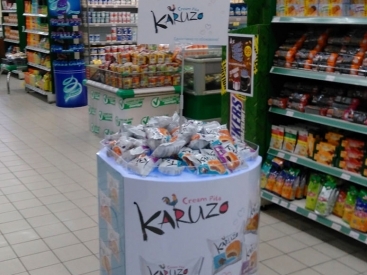 Speaking of products, it can carry any type of product up to 30kg which the consumer can just reach out to and take. Replacing the promoter is complemented by the option for sound where PROMOSMART can actually address consumers. 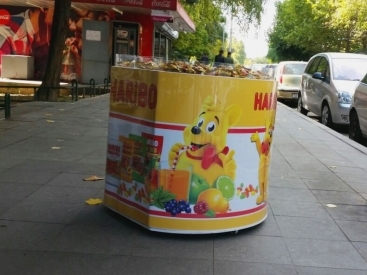 There is also the option for adding an additional module that transforms PROMOSMART into a movable advertising totem totaling 140cm in height.